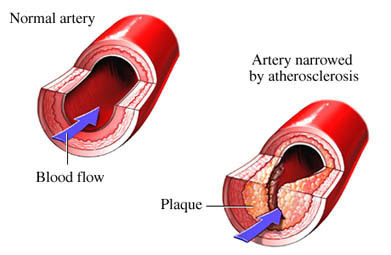 Peripheral artery disease (PAD) is a condition that leads to a decrease of blood flow to the arms and legs. Other conditions that can slow blood flow include blood clots and inflammation of the blood vessels. Certain conditions like congenital heart disease can also decrease the amount of oxygen rich blood that reaches the arms and legs. Your heart activity may need to be tested. This can be done with an ECG. Pain medication may also be needed to help manage discomfort. Hennon DR, Siano KA. Diagnosis and treatment of peripheral arterial disease. Am Fam Physician. 2013;88(5):306-310. Mahmud E, Cavendish JJ, Salami A. Current treatment of peripheral arterial disease: role of percutaneous interventional therapies. J Am Coll Cardiol. 2007;50(6):473-490. Peripheral artery disease. National Heart, Lung, and Blood Institute website. Available at: https://www.nhlbi.nih.gov/health-topics/peripheral-artery-disease. Accessed March 1, 2018. Peripheral arterial disease (PAD) of lower extremities. EBSCO DynaMed Plus website. Available at: http://www.dynamed.com/topics/dmp~AN~T114200/Peripheral-arterial-disease-PAD-of-lower-extremities. Updated January 26, 2018. Accessed March 1, 2018. Prevention and treatment of PAD. American Heart Association website. Available at: http://www.heart.org/HEARTORG/Conditions/VascularHealth/PeripheralArteryDisease/Prevention-and-Treatment-of-PAD%5FUCM%5F301308%5FArticle.jsp#.WphMNWrwZQI. Updated February 20, 2018. Accessed March 1, 2018. 11/18/2011 DynaMed's Systematic Literature Surveillance http://www.dynamed.com/topics/dmp~AN~T114200/Peripheral-arterial-disease-PAD-of-lower-extremities: Rooke TW, Hirsch AT, Misra S, et al. 2011 ACCF/AHA focused update of the guideline for the management of patients with peripheral artery disease (updating the 2005 guideline): a report of the American College of Cardiology Foundation/American Heart Association Task Force on Practice Guidelines. Circulation. 2011;124(18):2020-2045. 6/29/2018 DynaMed Plus Systematic Literature Surveillance http://www.ebscohost.com/dynamed: Beckman JA, Duncan MS, Alcorn CW, et al. Association of HIV infection and risk of peripheral artery disease. Circulation. 2018 Mar 13 [Epub ahead of print].